Ryanair announces new base in Prague, 2 new routes! Ryanair announced great news for all fans of low-cost traveling today: it will launch a new base in Prague. Famous Irish low-cost airline announced launch of its 84th base in Prague from 30th October, just in time for Winter flight schedule. The company will base 2 aircrafts in Prague. At the same time, 2 new routes will be added from Prague: Milan Bergamo and Rome Ciampino. Both destinations will be served with daily frequency. 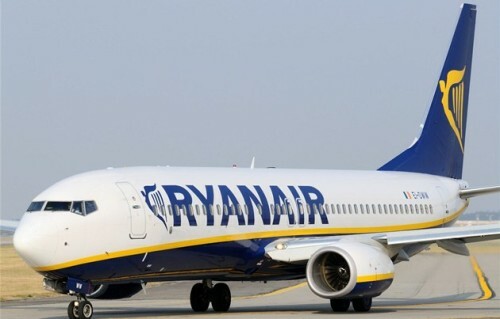 In total Ryanair will operate 5 routes from Prague Brussels Charleroi (9 weekly), Dublin (daily) and London (2 x daily) totalling more than 40 flights per week. We eagerly await further details in the coming months as the 2 aircrafts give way more possibilities than 5 routes – we can expect new destinations from Prague very soon! « Error fare: Super cheap flights between Prague and London every day for only €71!